It is really surprising that Facebook always displays such advertisements on our timeline that are related to us or about our interests. That is why many of us believe that Facebook gets notice our chats and listen to our conversation (through our smartphones). In fact, many people are sure about this, that Facebook and Google not only listen to their calls but also identify and sell the content of conversation to the advertisers. Interestingly, many people claim that they were talking with friend or relatives about some specific product like clothing, diapers or about some online courses, and surprisingly every time they got ads related to those things. This perception induced a negative image of Facebook on its users. People consider that Facebook is involved in quite notorious and dishonest activities, like not caring the public privacy and get an advantage without their consent and awareness. But it is really just a wrong perception. Reality is quite simple and complex at the same time. People related to marketing and business can easily identify the reason behind this perception of cheating or coincident happens on Facebook. Actually, it is a matter of our psyche and observation. It is about how advertising and our mentality works and it is about what we want to see. It is often observed that the number of ads and posts related to bridal shots, bridal dress, and bridal makeover increase while you are going to get married or attend a marriage of some relative. Apparently, it seems as if someone on Facebook has noticed that you are getting married by tracing you conversation or chat etc. it is called confirmation biased. In reality; we assume different astonishing things from external world: fragrance, shapes, names, characters, emotions, and sounds etc. While we awake, our mind continuously works, and we believe that we are observing everything, but it is wrong to think so. Because our mind just focuses only on a few things. And one thing among those on which our mind focus more is the confirmation biased. Here focus means to search, favor, understand and recall any particular thing that stimulates and confirm our preexisting beliefs. Consequently, we need to learn more and more about those things that relate to our own life and present situation. When a mother notices certain formula milk ads more and more, she gets surprised that she was just thinking about this and how it comes that Facebook started ads about this. Actually, Facebook has probably been showing the formula milk for months, but the lady didn’t notice until she had thought about starting formula milk to her kid, or she discussed about it with someone. She will not miss even a single ad related to formula milk, soon after she starts to believe that she has been targeted audience by certain formula milk products. Our mind observes a bunch of ads on Facebook daily, but can most likely recall only a few of them. And this few ads consists of those things which our mind is used to see, or about which we talk about more or recently. Now it is quite clear that it is a matter of our observation, but still, point to be noted that why Facebook show formula milk ad at the top? And the answer is this, advertisers can select among uncountable of option for the targeted audience. These options are based on age, race, gender, religion, social behavior. No doubt Facebook is the most popular digital platform that keeps a large number of people profile. So according to the profile data, Facebook advertisers target their audience. The reason behind the same ad displaying over and over is that repetition increase the similarity and consequently, product demand grows. Now it is clear that Facebook’s ad algorithm works to make us see those products ads again and again, that we intend to see, and about which our life relate. So it is the wrong perception that Facebook is listening to our discussions or notice our chats. 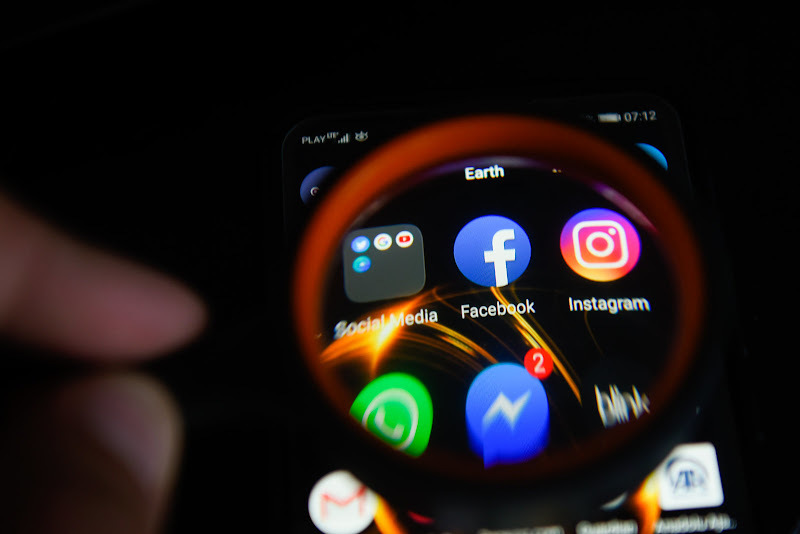 Yet, if you've doubts that Facebook is actively snooping on you then you can take these two steps to curb the social network. Number one — which can be impossible for some — is to delete the app from your device. Or number two is, you can simply disable microphone access for Facebook app, and by doing this you won't be able to add audio when recording videos with Facebook builtin tools. You can read more about how to "turn off Facebook's access to my microphone" on this page.